The session will be about the installation of WSO2 Identity Server and homogenization of various user stores in the municipality of Heraklion Crete in Greece. The presentation explores the situation which existed, prior to using WSO2, with multiple and heterogeneous per application user management solutions, the problems that occurred, and how they were solved. This session looks at the benefits of WSO2 Identity Server in the specific installation. They also managed to prepare the municipality for General Data Protection Regulation (GDPR), giving them the tools to create a dashboard with users' data in order to keep them informed and updated. 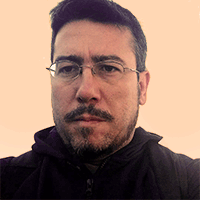 Panagiotis is an open source evangelist, a senior systems engineer, and an open source solutions architect. He has worked in various governmental organizations in Greece and in the banking sector. He is member of the Board in Open Technologies Alliance, a non profit organization of major Greek universities which mentors projects and actions related to open government and cyber security. At present he is a solutions architect in IT Digital Transformation Services Ltd, a company providing consulting and integration services in WSO2 IAM products.